These brand new, highly innovative and technologically advanced Patagonia Middle Fork Packable Waders are feature-rich in every way and are Patagonia’s new top waders for fly-fisherman. These Patagonia packable waders are extremely lightweight and made with new technologies that Patagonia developers have spent years perfecting, and now we have new packable waders that offers fly-fisherman every single feature that we could ever want in a fly-fishing packable wader. These Patagonia Middle Fork Packable Waders will be coming out in February 2018 and we are now accepting Pre-Orders of these newly developed Patagonia Middle Fork Packable Waders. 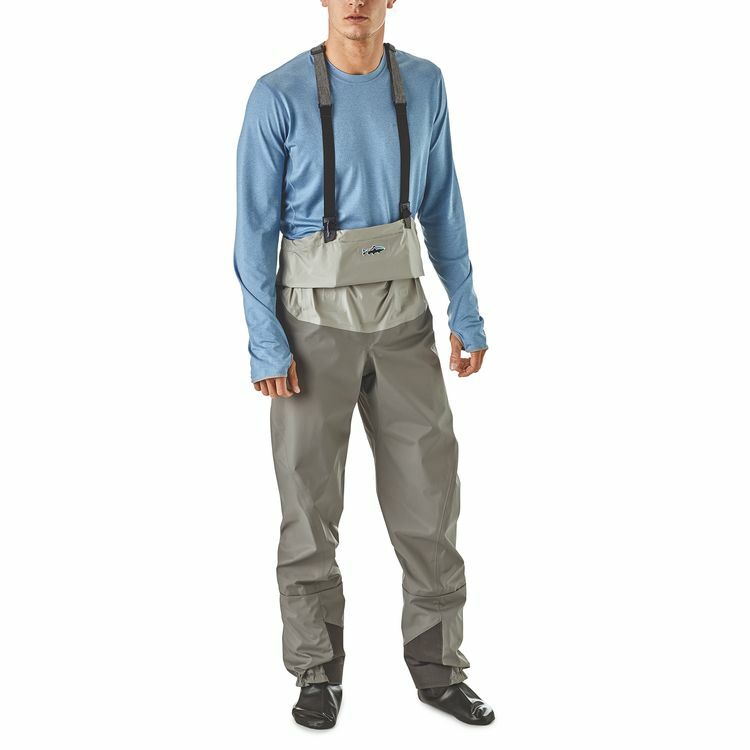 These men’s fly-fishing waders are the perfect waders for both fly-fishing guides or the casual fly-fisherman. 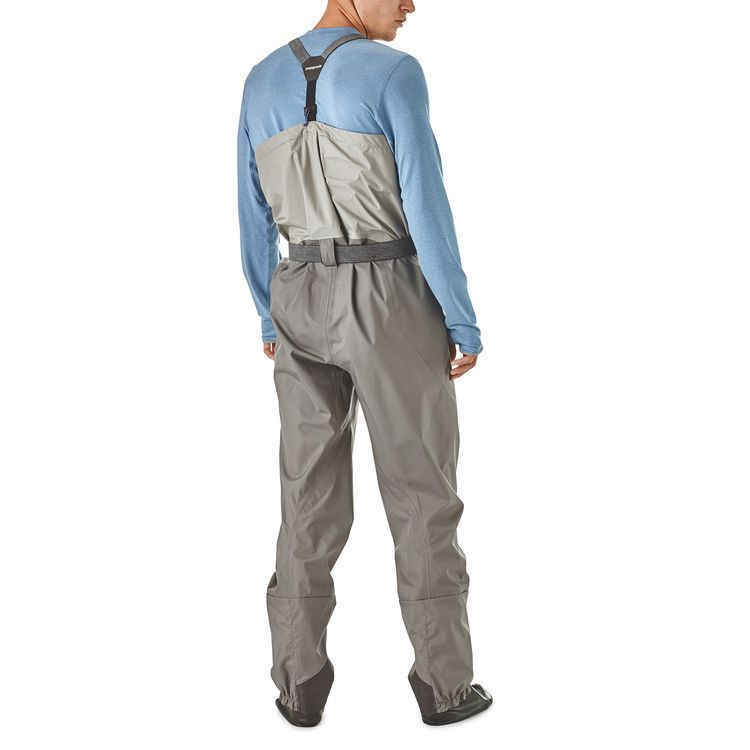 Additionally, if you are a hunter you can quickly put on these Patagonia Middle Fork waders to cross streams and rivers while on your hunting adventure due to the fact that these Patagonia Middle Fork Packable Waders are able to compress down into a very small bag that is very lightweight and easy to carry. These Patagonia Middle Fork Packable Waders are also perfect for backpacking trips, hiking trips, camping trips and so on since they are lightweight, packable and extremely easy to carry with you wherever you decide to venture off to. These packable waders features seamless booties and the pack is exceptionally small at just 8 inches by 13 inches and only weighs in at just 1 pound 10 ounces, thus making these Patagonia Middle Fork Package Waders a breeze to carry on long day or overnight hikes, fly-fishing trips, hunting trips, backpacking trips or basically anything that may require use of packable waders. The Patagonia Middle Fork Packable Waders contains booties that are very durable and are constructed from very stretchy synthetic rubber and their seamless design is technologically advanced and contain the ability to pack down much better than neoprene booties that makes these Patagonia Middle Fork Packable Waders a top contender in the fly-fishing packable waders category. These Patagonia Middle Fork Package Waders are waterproof, breathable and contains an H2NO performance standard shell and is extremely lightweight and durable and the upper body is 3-layer, 3.5 ounce 100 percent recycled nylon and the seat and legs of these Patagonia packable waders are 4-layer, 4.5 ounce 70 percent recycled polyester. These Middle Fork packable waders are also designed with a drop down suspension system so these Patagonia waders can be easily and quickly worn at waist height. 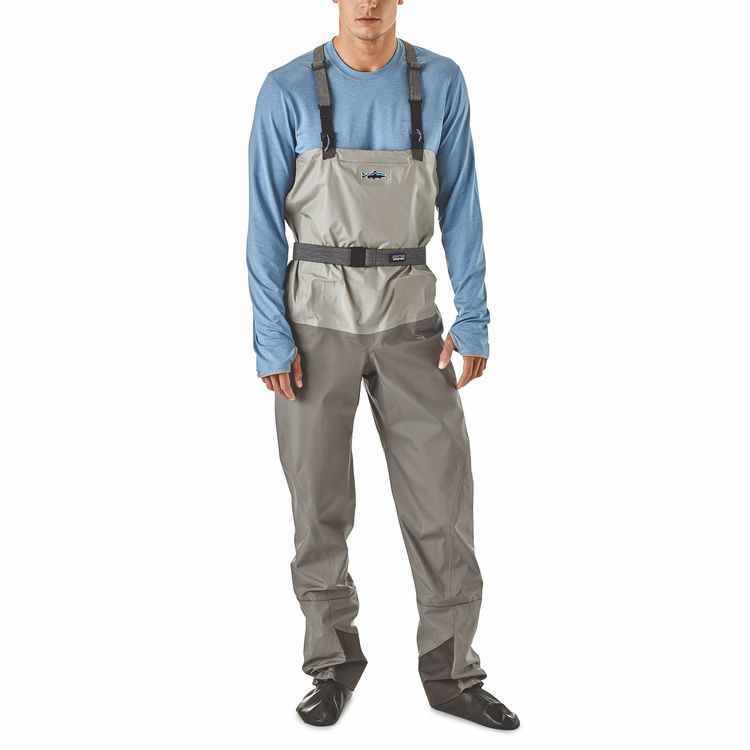 The Patagonia Middle Fork Package Waders also features extremely durable scuff guards at the ankles and also features a gusseted crotch for excellent range of movement. These Patagonia Middle Fork Packable Waders contains all the features that you’d expect from a high quality, high-end Patagonia wader and Platte River Fly Shop is now accepting pre-orders of this amazing newly developed Patagonia wader. *Contains a waterproof/breathable design that features a H2NO performance standard shell that is extremely lightweight and also very durable. The upper body of these Middle Fork packable waders is 3-layer, 3.5oz 100% recycled nylon and the seat and legs are 4-layer, 4.5oz 70% recycled polyester that enables these waders to be very lightweight and also very durable. 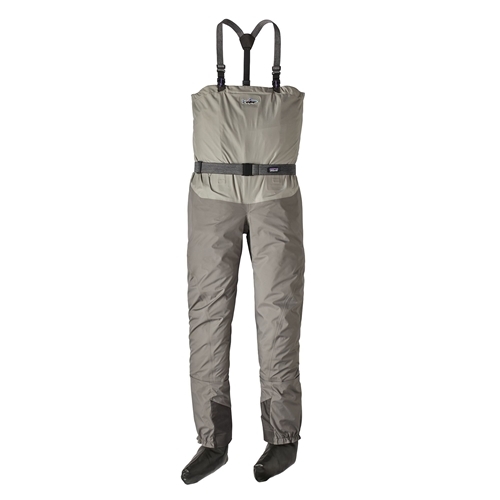 *Features a drop down suspension system which enables these waders to be worn at waist height very quickly and easily. *Offers very tough scuff guards at ankles for improved durability. 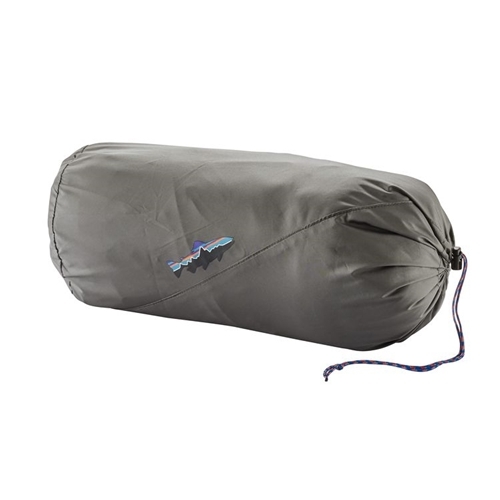 *Designed to be lightweight and durable and easy to pack and carry. *Comes designed with a gusseted crotch for great range of movement.